The Becoming HIP mini conference will provide select full-time faculty and lecturers with an opportunity to integrate high-impact practices (HIPs) into one of their fall courses. If selected, participants will receive $500 for completing a two-day mini-conference on June 1-2 from 8:30-3:30 p.m. Participants will also receive an additional $250 for a follow-up activity at the end of the fall 2017 semester. The goal of the mini-retreat is to provide faculty with the resources necessary to integrate high-impact practices into one of their fall courses. Each selected participant will bring course materials for one of their fall 2017 courses and they will spend two days engaging in structured work sessions. Structured work sessions will include a presentation of research and examples of HIPs, as well as time to: (a) tailor assignments to the course, (b) create necessary materials, (c) determine how the HIP assignments figure into the overall course structure, and (d) think through the implementation process, including scaffolds needed for student success. At the end of “Becoming HIP,” participants will emerge with materials necessary to engage in high-impact learning practices in fall 2017. While there will be some discussion of the logistics of well-established HIP programs on campus (e.g., undergraduate research, service learning), the bulk of the sessions will focus on two teaching and learning strategies that underlie most high-impact practices, namely project-based inquiry and integrative learning. The goal, therefore, is not only to promote student learning through high-impact activities (e.g., undergraduate research, learning communities), but also to help faculty with how to help students learn more effectively. Anyone interested in participating in Becoming HIP is encouraged to complete the following short application form. Whether you’re not yet HIP or HIP looking to become evermore HIP, we encourage full-time and part-time faculty to apply. Proposals are due by March 31st and will be reviewed by the Scholarship of Teaching and Learning advisory committee.  If you have questions about the program, please contact John Draeger (draegejd@buffalostate.edu).